If you suffer from allergies or asthma, you know that pollen and air pollution can aggravate your symptoms — and no one with allergies wants more itchiness and puffiness than they’ve already got. New energy efficient homes are great, but they’re also more airtight than homes built in the past; synthetic building materials plus tightly sealed spaces can mean an uptick in indoor air pollution — which isn’t exactly helpful for allergy sufferers. The good news is, there are a ton of house plants that can help with allergies. 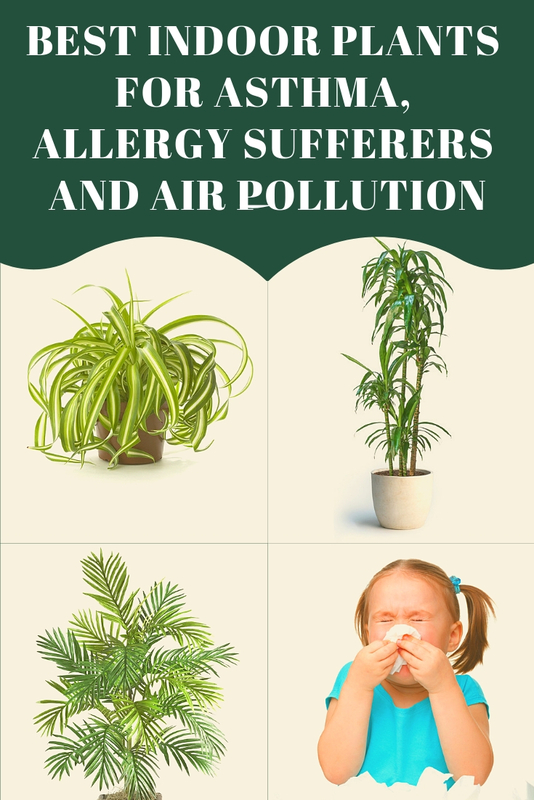 Not only are these amazing for purifying the air of those pesky allergens wreaking havoc on your nasal passages, but they add beauty and greenery to your home, which is great for stress relief and boosting your mood, too. Adding some hypoallergenic houseplants to your abode has a number of benefits if you deal with allergies (and also if you don’t) — this 1989 NASA study found that a number of plants can actually help reduce indoor air pollution. Houseplants for allergy sufferers also contain lower pollen counts, and are less likely to trigger allergic reactions. Here are options to up your indoor greenery, without aggravating your allergies. A significant source of houseplant allergies come from mold. If the soil is too moist mold can grow in the container (soil) or around the container (standing water). Mold can be problematic during humid summer months when the soil is less likely to dry out. The soil moisture content can be checked visually and with your finger. Ideally, the topsoil will be dry but the soil should be moist 1 inch under the surface. Some people water when they see the soil surface is dry – this is incorrect and often leads to overwatering. Most indoor allergies from plants come from pollen (in some cases it will be sap). For smaller trees or palms, choose female species that don’t have pollen. A plant that produces “heavy” (weight) pollen shouldn’t be a problem as it’s not likely to become airborne. If you have many houseplants and are worried about mold and pollen indoors you can offset some of their problems with a HEPA air purifier which cleans your indoor air and works great for rooms large and small. If you want to read our allergy article on air purifiers check out the link above. Why would NASA work with Landscapers – it seems odd right? Well, NASA was researching ways to keep air clean while on missions at the International Space Station. Although it was originally intended for Space, the results of the study were broadly accepted for use in homes across America. The palm is originally from the tropics and that makes it an ideal for life inside. In most U.S. climates outdoor winter temperatures will kill the palm. It prefers warmth (but not too hot) and does well in medium sunlight areas, with or without shade. 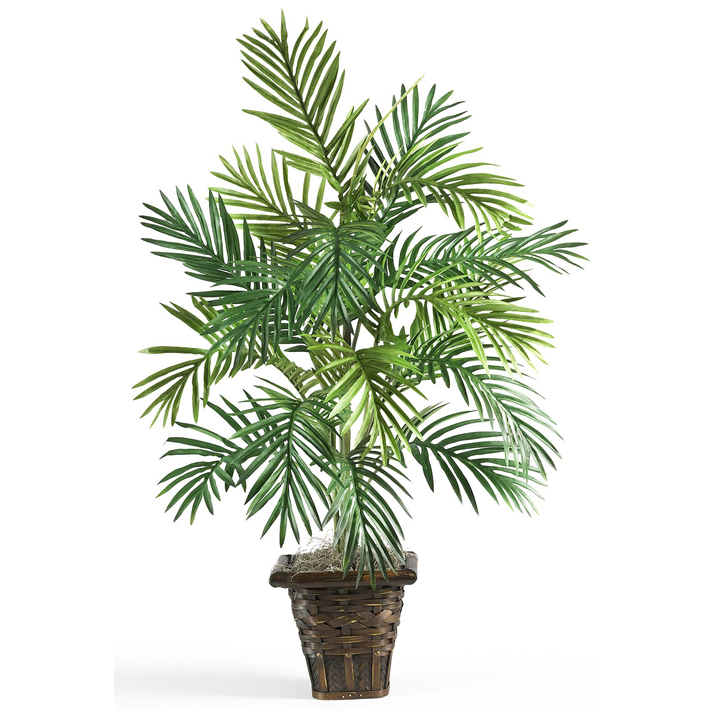 A full-grown Areca Palm can be costly but buying a smaller plant is relatively affordable. I bought a smaller palm and it grew fairly quickly.. almost 10” in one year. As they grow, Arecas should be pruned, otherwise, they can reach 7 feet tall. In addition, it can help reduce mold in the home. 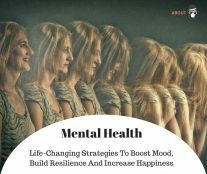 How does it reduce mold? The plant absorbs mold spores and converts them into food (amazing right?). They look great on a dining table, on a bedroom dresser, or on the sink in a bathroom. 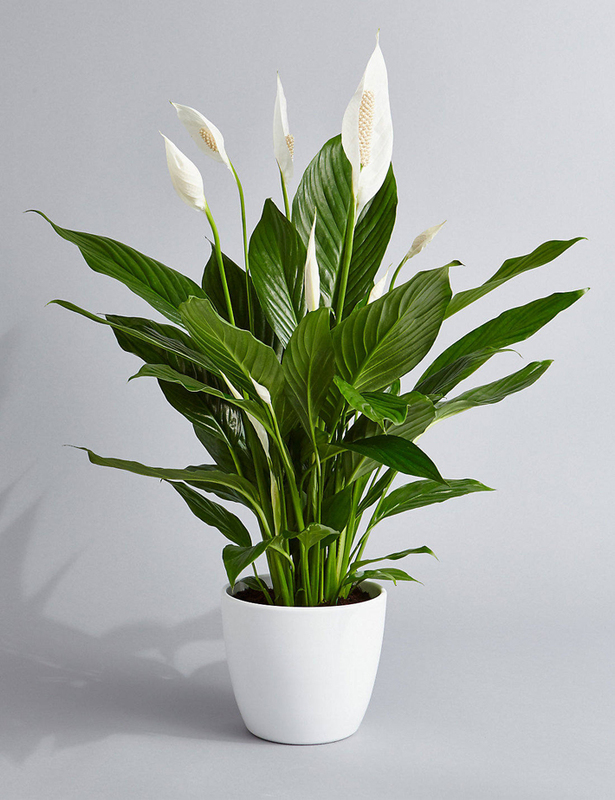 If you want to multiply your Peace Lilies you can do so from a single plant! Just be gentle when removing the soil and dividing the plant’s roots. 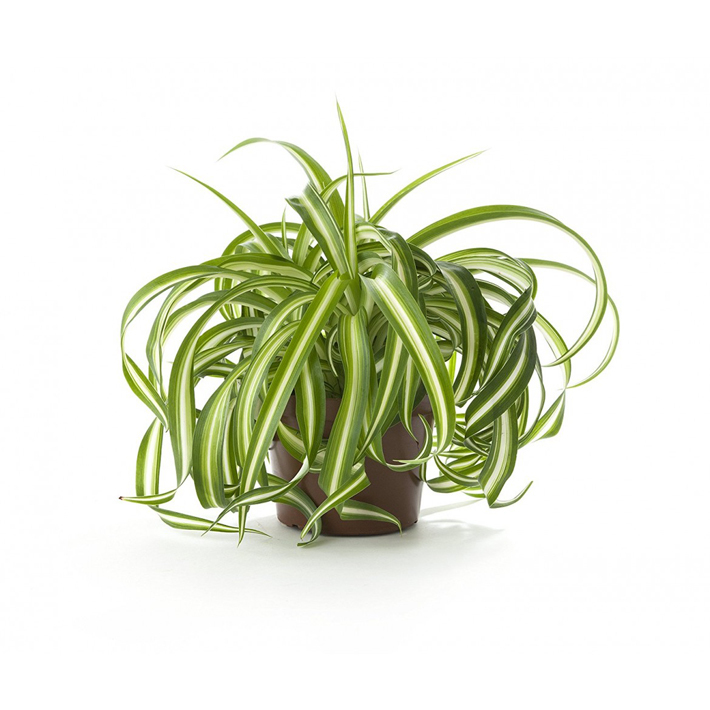 Formaldehyde and other types of chemicals can be irritants to people with allergies or asthma and the Spider plant will help. 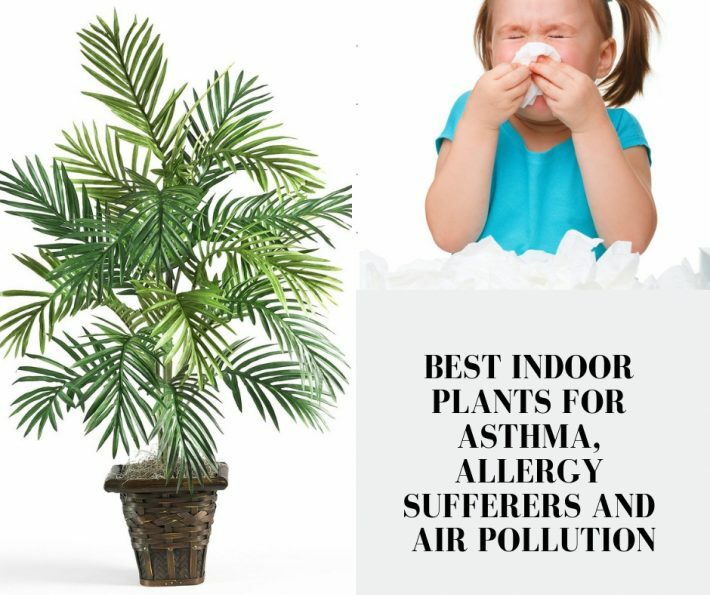 This is my pick for the best indoor plant for asthma . The best part about this plant is it requires little attention and does quite well in drought conditions. This doesn’t mean you don’t need to water it. You do, but less frequently . You won’t need to water every other day or on a regular schedule. It has a slightly different look than other indoor plants on our list. 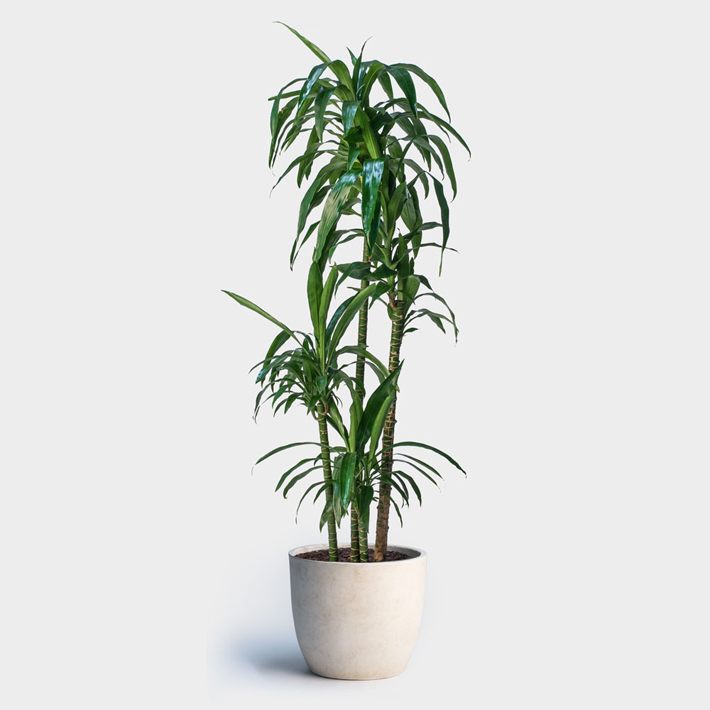 If you’re looking for taller, thinner option for a room, the Dracaena might be perfect. Bedroom plants can be chosen based on the amount of space you have and your design preferences. If you don’t have much space try a tall thin plant like the Areca Palm or the Dracaena. Both of these plants can be placed in a corner of the room and have minimal outward growth. Another option is the Boston Fern. They are bushy plants that can help restore moisture in homes and freshen air. They play a role in eliminating formaldehyde but require more sunlight and occasional misting of the foliage. Air purifiers have come a long way in a short amount of time. A decade ago I used an air purifier and I knew it wasn’t working – it also made my allergy symptoms worse. Technology has advanced and companies are trying to solve the air pollution problem. If you have allergies there are a few plant species you won’t want in your house. Daisies, sunflowers, chrysanthemums, bonsai trees, ficus, and pine can all cause allergy symptoms. Most of the flowers mentioned come as part of bouquets so be mindful when your loved one comes home with a flower arrangement. If your allergies are as problematic as mine, consider investing in allergy-quality HVAC filters (not available at department stores) and a HEPA air purifier. Along with beneficial plants, the HVAC filter and HEPA air purifier can have your family breathing fresh, pure, air. If you live in a city with plenty of pollution these are even more important.